Bellingcat’s Henk van Ess explains how you can use Instagram for verification. In 10 handy tips, you will learn more about the art of “chronolocating” a picture and find the exact location of a fugitive convict. The convict, 35-year-old Shahin Gheiybe is on the Dutch “ Most Wanted” list. He fled to Iran. But he still posts on Instagram about his whereabouts (here is the original link to his private account, and a backup link), mostly about Iran. We didn’t want to fiddle with a mobile or tablet, but work on a desktop computer. To do that, we downloaded Desktop for Instagram, a Chrome plug-in. With this, you can also save Stories — Instagram posts that have a very short life because they are not in the timeline of an user. Now look at the link of the location. A part of that link says "locations/ 531195156910169." That number is important to us. We can cross-check the same location in Facebook — a rather unknown trick which I’m happy to share with you. Use this strict formula: "facebook.com/search/number ." In our case: "531195156910169/photos-of." How do we add a time period to the link? Below is the formula how to do that yourself. Everything you see in red is fixed and shouldn’t be altered. Everything in yellow is yours to decide. On the same day, Nov. 27, 2018, we found a video in which our target was near a car with a recognizable license plate. We can read "Kish" and "22389." We don’t want to see postings from the target’s own account, so we exclude "site:instagram.com/shahin.mzr." 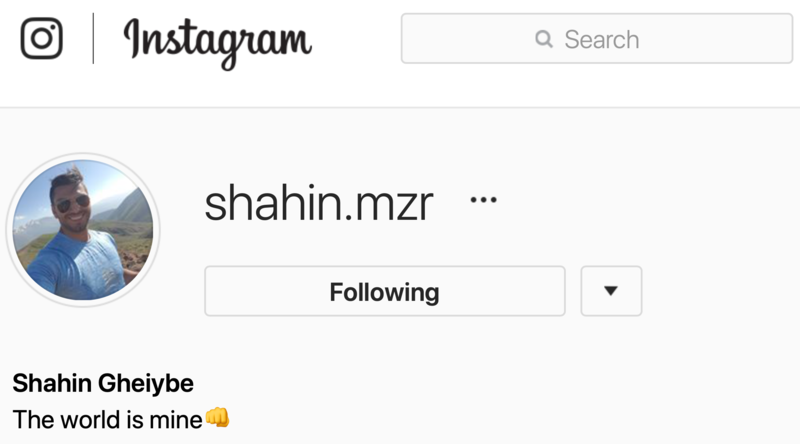 But are still interested if he (hence shahin.mzr) posted comments on the Instagram posts of others (hence site:instagram.com). Below is what we found. Want to read the full story? Check " Locating The Netherlands’ Most Wanted Criminal By Scrutinising Instagram ." For more ways to fact-check images, check out van Ess' abbreviated list of tips. Have a tip that didn’t make either list? Send it to us at factchecknet@poynter.org.